You might not be aware of this, but August Vollmer, Chief of Police for Berkeley, CA., is often credited with establishing the first police motorcycle patrol in 1911. However, many police bureau’s reported using motorcycles as patrol vehicles earlier. For example right here in “River City”, the Portland, OR., Police Bureau hired Merle Sims in 1908 because he owned his own motorcycle and by 1910 the Portland bureau purchased two of their own motorcycles for patrols of the city. 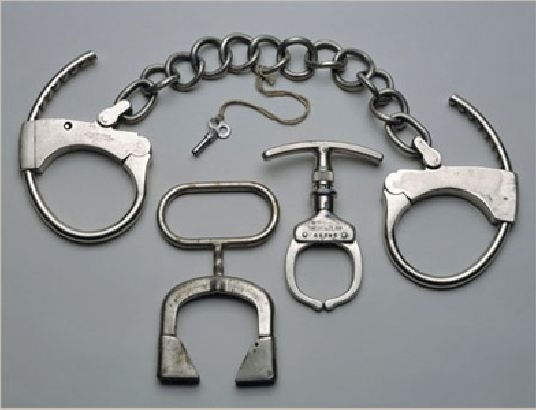 So what does this have to do with the Law Enforcement Museum? Glad you ask! In 2000, the U.S. Congress and President Bill Clinton authorized the establishment of a National Law Enforcement Museum in Washington, DC. It paved the way for the nation’s largest and most comprehensive museum honoring the duty and sacrifice of America’s law enforcement officers. The key purpose of the museum is to tell the story of American law enforcement through exhibits, collections, research and education. 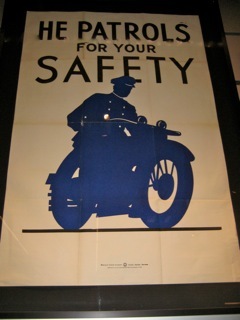 The National Law Enforcement Museum will have several motorcycles, including H-D on exhibit when it opens in 2011 as well as a broad sampling of historical and contemporary objects. The building is located in the 400 block of E Street, NW, which is part of the Judiciary Square, just north of Pennsylvania Avenue and the National Mall. In the original plan for the nation’s capital, Pierre L’Enfant identified Judiciary Square as the center of the judicial branch of government, and today the historic setting is surrounded by a number of federal court buildings. Directly adjacent to the National Law Enforcement Officers Memorial, the Museum makes an architectural statement that complements this monument to officers killed in the line of duty. Patrol photo taken at H-D Museum. The two different “mechanical nippers” pictured are Malcolm (bottom left) and the Iron Claw (bottom right) by Argus Manufacturing Co. Photo courtesy of NLEO Museum.